Whether you have a design in mind or need help to achieve the design and style you are looking for, we provide a free consultation and measuring service in the comfort of your own home. We can help you to choose your perfect fabric(s) from our wide selection of books, together with advice and supply of any tracks and pole that may need to be fitted. At Beyond Design we can take all the stress out of choosing your new soft furnishings because we bring our showroom to you. You can choose from hundreds of fabric samples in the comfort of your own home, giving you the perfect match to your walls, carpets and furniture. With over 22 years experience in Home Furnishings, let Beyond Design create a stunning and stylish addition to your home. Made to measure Curtains, Roman Blinds and Soft Furnishings are the perfect choice. Available in a wide selection of beautiful fabrics they provide a fabulous backdrop or focal point to any interior. Modern & Contemporary, Classic & Luxurious, whatever your taste, whatever your style, whatever your challenge, at Beyond Design we can find the perfect solution within your budget. At Rightrack Curtain Fitting we offer a comprehensive measuring & fitting service for anyone looking to purchase made to measure curtains and blinds for their home or business. We can advise on various options available and give our expert opinion on what will work best for you. Rightrack can supply and fit every kind of curtain pole, curtain accessory or track to suit and optimise your window style. Prior to fitting we will carry out preparatory work such as installing pelmet / valance boards and batons, if needed. Once your curtains are ready to fit we offer a full fitting service to make sure your curtains are hung and dressed properly to give that professionally finished look. Even if you have not used our measuring service and would like your own curtains or blinds correctly installed, we can do that. Or, if you have had them altered or cleaned we can re-fit them for you. When we carry out our work, our clients homes are treated with respect. We bring dust sheets and wear indoor footwear to keep dust and dirt to a minimum. All we will leave behind is a beautifully dressed window. Contract and Commercial We have extensive experience in Contract and Commercial projects within hospitality, health, leisure, interior design and the building industry. Rightrack are recommended fitters of quality motorised tracks and supply leading brands such as Silent Gliss. We can work closely with you on building and refurbishment projects. Please contact us to discuss your requirements. Bay Window Specialists Finding a solution for bay windows is our speciality. We have a variety of specialist track bending tools which we have at our disposal to bend tracks to the profile of your window providing an unbeatable made to measure service. Angel Blinds and Shutters offer a wide selection of quality, made to measure blinds and shutters for both windows and conservatories, as well as awnings and canopies to transform your outdoor space. Located in Gateshead, we offer free home visits across Newcastle, Gateshead and the North East to measure and fit your new blinds or shutters. We have a range of fabrics and styles to choose from; visit our showroom to view the selection or call our friendly team for more information. Unique Plantation specialist in design and installation of bespoke plantation shutters with over 20 years in the blind and shutter industry, we only use the highest quality basswood in our to shutters to crate beautiful designs to any window shape or size . When Design & Technology teacher and design engineer David Meiklejohn retired early from teaching he set up D S Meiklejohn Creative Solutions Limited, offering a bespoke design and consultancy service. As a part of that he took on a busy blinds and window coverings franchise with Hillarys. He quickly developed a strong base of happy customers across the region who appreciated David’s calm, patient, approachable manner and meticulous attention to detail. Having traded with Hillarys for 2 years and become established it became obvious to David that he could offer customers a much-expanded range of beautiful quality products, more customer choice, and an even greater emphasis on personalised service and value if he became independent from the franchise and, by popular demand, David Stanley Blinds was born. At David Stanley Blinds, being an independent blinds consultancy, we are not tied to any particular manufacturer – which means we can help you to select the best possible blind, curtain and shutter solutions for suitability, quality and value; As qualified design professionals we understand about design and the potential for blinds, curtains and shutters to enhance and transform a space; Based in Consett, Co. Durham we are happy to travel to anywhere within 20 miles of our home base or so, visiting customers throughout the region, covering places such as Hexham, Prudhoe, Ponteland, Newcastle, Gateshead, Chester-le-Street, Bishop Auckland, Durham - and everywhere in between; All our products are made to measure. We have a thorough, methodical approach and meticulous attention to detail that sets us apart; All our products are child safe. Our blinds and curtains come with a 12 months guarantee, our shutters are guaranteed for 3 years; We don’t solely specialise in transforming windows in homes - we also do commercial work and have done many installations of beautiful and practical blinds, curtains and shutters in hotels, restaurants, pubs, care homes, offices and schools; We bring our expert service direct to you in the comfort of your own home. We offer free consultations and free no-obligation quotes, bringing samples, swatches and product examples to help you choose the best solutions for your budget and your décor; Contact us for a free home consultation appointment at a time that best suits you. Established in 1968, Baileys supply made to measure window blinds, shutters and soft furnishings. We are the largest family-run retailer of window dressings in the UK. The Baileys service starts with an in-home design consultation - or you can visit your local showroom - where our experts will help you can choose the right option for your home. We have a huge range of blinds systems, shutter styles and fabrics - you will find what you are looking for with Baileys. Baileys will measure, make and fit everything for you so you can be sure of a perfect finish. Our products all come with at least 12 month guarantee for your peace of mind. We offer the biggest name brands in window dressings including Hunter Douglas, Louvolite, Silent Gliss, Somfy, SHY, Dutton & Gavin (Textiles), Harlequin Fabrics, Prestigious Textiles, Eclipse, SMD, iLiv, Intus and much more. Contact Baileys for your free design consultation and no-obligation quote. Troynorth are a family run business based in beautiful Northumberland, and is one of the largest tassels, tie-backs and trimmings suppliers in the UK. Our specialist knowledge spans 34 years of designing and supplying top quality trimmings, tie-backs and accessories to the interior design, retail and contract trade. Our collections cover an immense selection in product, colour and budget. There is everything from cut glass magnets, through to 22cm bullion fringes and a vast array of tie-backs in a wide choice of unusual designs to provide that final finishing touch to any décor scheme. Sample books are available for each collection, showing the items and colour selection available. Based in Newcastle upon Tyne Amanda Baker Soft Furnishings was established in 2002, after 10 years working for one of Newcastle’s biggest department stores & studying soft furnishings at local college, with a love for interiors Amanda set up a soft furnishings workroom offering bespoke curtains, blinds & soft furnishings, working with clients to discuss ideas & offer friendly advise on suitable window dressings for both domestic & commercial clients throughout the north east. With a showroom & workroom offering a wide selection of fabrics, wallpapers, curtain poles & trimmings including flexible appointments for home consultations including evenings & weekends. Deal Direct Blinds is a family owned and tun business offering bespoke and made-to measure blinds in Newcastle-upon-Tyne and surrounding areas. Fast, professional and affordable. Here at curtains made for free, we make made to measure curtains - fast! With over 10000 fabric choices from some of the UKs leading brands you can be sure to find the perfect made to measure curtains online to go with you home decor. Whatever style, colour and material you are looking for - we have a custom made solution for you. The advantage of having custom made curtains is you get exactly what you want, for the exact size of your window - no longer will you have to conform to the default sizes of pre packed curtains. We will make your custom made curtains for free! 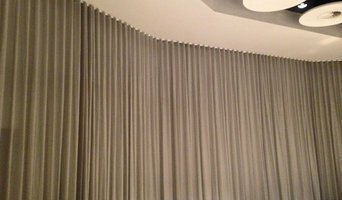 All you pay for is the materials and we will hand make your curtains absolutely free. 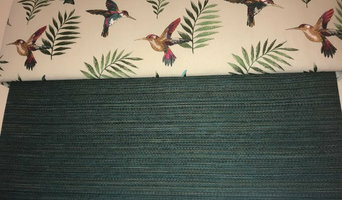 Curtain makers, retailers and designers in Newcastle upon Tyne, Tyne & Wear can work wonders with pieces of fabric, while fitting blinds or shutters can be tricky to do yourself, so it’s definitely a wise idea to hire a window dressing professional in Newcastle upon Tyne, Tyne & Wear who can design, make and/or fit bespoke blinds, curtains or shutters for you. Whether you want sleek roller blinds for your home office, roman blinds for your kitchen, venetian blinds to smarten up your living room, plantation shutters for your bay windows or delicate voile curtains for the bedroom, there will be Newcastle upon Tyne, Tyne & Wear curtain makers, blind fitters or shutter company to help you with your ideas on Houzz. 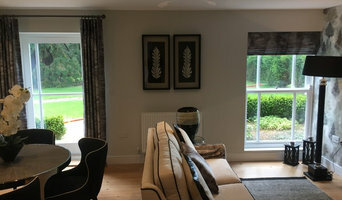 A curtains, blinds or shutters company in Newcastle upon Tyne, Tyne & Wear will first be able to advise you on the style of window dressing that will work with your windows and rooms. If you have an idea or design in mind for your window dressing, then discuss this with any potential experts, such as curtain makers in Newcastle upon Tyne, Tyne & Wear, to see if your design and style is possible. You will need to work closely with them if you are planning on having custom curtains, bespoke blinds or shutters created. Curtain makers will be able to turn most fabrics into curtains, so if you’ve found a pattern or fabric you like already, present this to your Newcastle upon Tyne, Tyne & Wear curtain makers and they could be able to turn it into curtains for you. Even when clients don’t have certain fabrics in mind, curtain makers can suggest fabrics based on your style and the rest of the room’s design. They can pick out the right weight, thickness, length and pattern that would suit your room. Curtain retailers in Newcastle upon Tyne, Tyne & Wear will offer a huge range of readymade curtains, or curtains that can be adjusted or made to order. Contact Newcastle upon Tyne, Tyne & Wear curtain retailers if you’d prefer to choose from a large selection of ready-to-go curtains; whether they are high-end designer curtains or just plain white curtains; rather than waiting for some bespoke designs from a curtain maker that may take a bit longer. You may find that curtain makers in Newcastle upon Tyne, Tyne & Wear also offer a stock of ready-to-go curtains, too, but always double check with the professional first. Once you’ve decided on a design, curtain makers, blind fitters and shutter professionals will usually measure your windows or doors to ensure a good fit. If you are having blinds or shutters made then it will probably be best to have them professionally installed, too. Blind fitters and shutter companies should offer this service with their products as blinds and shutters need to be firmly fixed to the windows; something that most homeowners don't know how to do themselves. Although roller blinds and Roman blinds can be fairly simple, vertical blinds and Venetian blinds can be a bit more complex, and if you want remote controlled blinds that operate with the touch of the button, then you definitely need to call in the Newcastle upon Tyne, Tyne & Wear blind fitters. Plantation shutters are substantial window dressings and need careful measurements and installation, so it’s really best to leave the measuring, design, manufacture and installation to a professional Newcastle upon Tyne, Tyne & Wear shutter company. 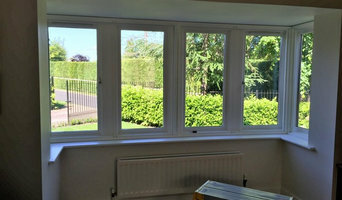 Blind fitters, shutter companies and curtain makers in Newcastle upon Tyne, Tyne & Wear should also check the insulation of your chosen window dressing and make sure there are no potential hazards once fitted. Finally, they should confirm with you that your curtains, blinds or shutters are functioning as you’d like them to before finishing the job. What should I ask Newcastle upon Tyne, Tyne & Wear curtain makers, blind fitters and shutter professionals? Find curtain makers, blind fitters and shutter professionals on Houzz. Narrow your search in the Professionals section of the website to Newcastle upon Tyne, Tyne & Wear blind, shutter or curtain maker professionals. You can also look through photos to find examples of Newcastle upon Tyne, Tyne & Wear window dressings that you like, then contact the curtain retailers, blind fitters, shutter professionals or curtain makers in Newcastle upon Tyne, Tyne & Wear who worked on them.